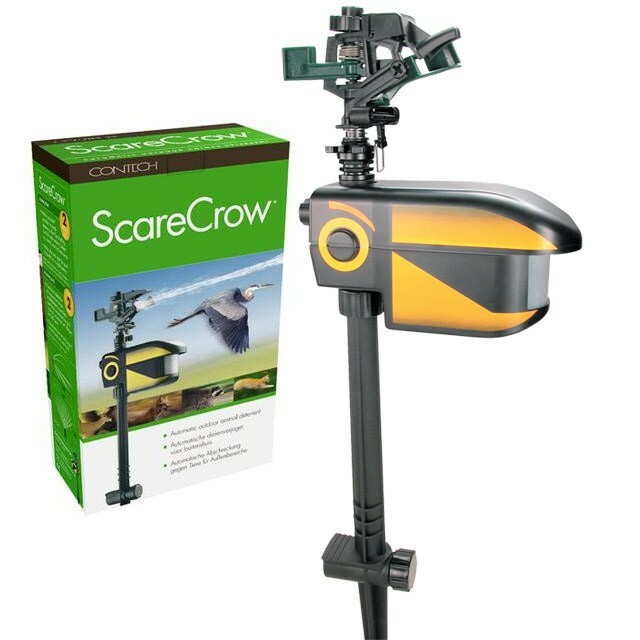 The Scarecrow is a clean alternative to smelly, poisonous, or visually disruptive repellents. It is widely endorsed and less expensive than physical barriers. If you've tried other solutions that failed, you're ready for a Scarecrow. Entering its fourth year, it is now more economical, effective and widely available than ever. Tens of thousands of homeowners worldwide now use this award-winning solution to quickly, economically and safely repel animals. All it takes is a couple cups of water from the fast acting Scarecrow for cats, dogs, deer, rabbits, raccoons and most other animals to high-tail it!